Canterbury bus station is adjacent to the centre and serves the local area in all directions. Nearest station is Canterbury East, with a short walk to Canterbury West. Whitefriars Arcade also offers a car park for local shoppers. Click here to see the current price list for Rush Canterbury. 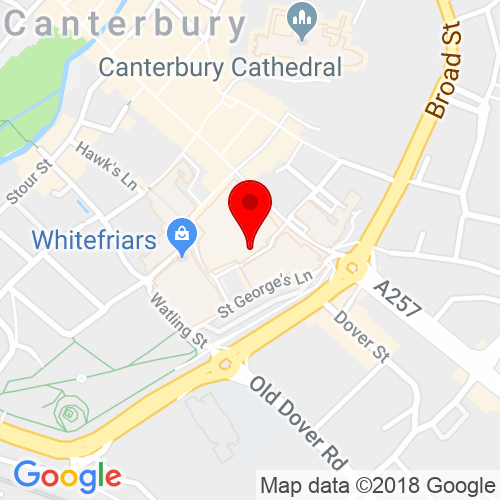 Situated in the heart of the beautiful Cathedral City, our Canterbury hair salon is as much a pleasure to visit as its beautiful surroundings. The time you spend in the hands of Kent’s finest hair stylists should be a real pampering experience. We’ll treat you to an indulgent head massage in our relaxing, spot-lit spa, before you sit back and relax with a magazine and a good old cup of tea or coffee, while your hairdresser dedicates their time to making sure you leave the salon looking and feeling amazing. But, there’s more to it than that, you see for us the key to your hair happiness is in the bond formed between your stylist and you, it’s about trust. We know how much it means to have a great hair day, every day, so your hairdresser will really take the time to get to know you, to listen to your needs and understand your lifestyle, so you can be sure that we’ll create a hairstyle so special and so you, that you glow with an inner confidence only truly gorgeous hair can bestow. It’s YOU, by Rush. 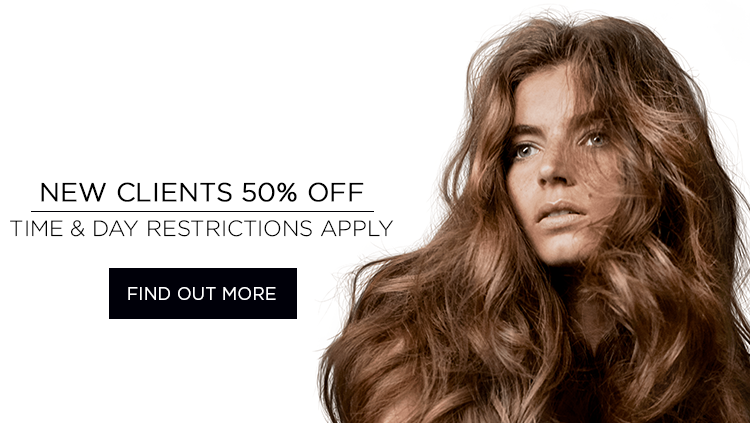 It doesn’t stop there… we care about the condition of your hair too; after all, you can’t have style without substance. If your hair is in need of a bit of TLC, we’ll blend the perfect fusion of made-to-measure goodness to get your hair looking gorgeously healthy and back to its best no time. 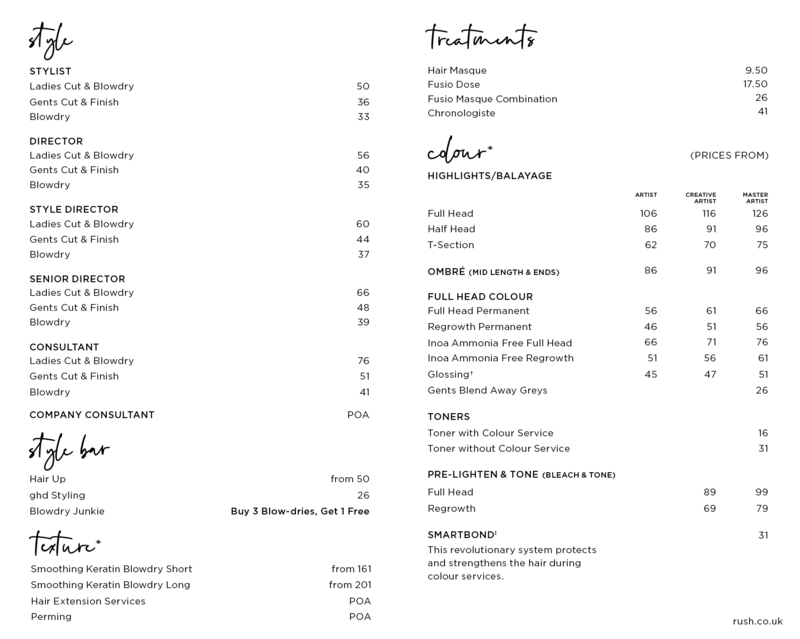 Our hairdressers are also fully trained in more specialist services, such as the Brazilian Blow Dry and Hair Extensions. If the idea of a 16-week blow dry makes you go weak at the knees, or you fancy adding some volume to your locks, pop in for a chat with your hair stylist, and we’ll see what we can do. We also offer a range of gorgeous salon hair products to ensure you love your hair, and it loves you, for longer. We only stock the products we use in salon and that we’d choose for our own hair, such as Kérastase, L’Oréal Professional and ghd, so you can be confident that when we recommend a product, we mean it from the heart. Because when it comes to hair, we really do. Rush Canterbury’s 50% Off Colour Day is on Tuesday. Really nice to have a religious curtain for those who do not wish to show their hair. It’s always a pleasure to visit this salon, so friendly and always a good result. Birthday blowdry My bouncy blowdry was perfect for my birthday night out. Thank you Rush Canterbury!! Thank you Thank you for fixing my hair Josh! Note to self never use a home kit.